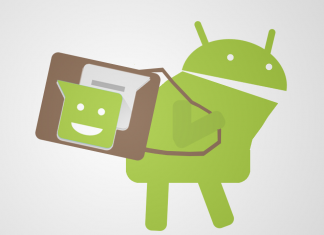 Fortunately, you don’t have to just rely on the hardware to improve the battery life of your Android device. With the freedom the OS offers and the wide range of apps available, you can perform a few simple yet efficient tricks on your device to significantly improve its battery life. Here is how you can improve the battery life of your Android smartphone with these 8 useful tips. Auto Sync on your Android device is a great feature if you need to be kept constantly updated by the apps on your devices. However, this feature might quickly end up being a battery drainer if you have a lot of apps installed on your device which pushes out notifications at regular intervals throughout the day and runs as background processes at all times. So, if you want to save your battery life and are willing to compromise on getting regular updates, you can either disable the auto sync option on your device altogether, or just disable it for specific apps installed on your device. You can do this by going to Settings->Accounts on your device. This page will have all the apps that uses the auto sync feature on your device and you can select the apps you want to disable the auto sync feature for and then click on sync account and disable the sync option. This will just disable the auto sync option for this particular app, if you want to do it for all the apps and accounts installed on your device, you can just disable the auto sync data option at the bottom of the Accounts page. Note: If you choose to disable the Auto sync option on your device, you will only get updates whenever you open the app and refresh it. You will no longer receive automatic notifications and updates from these apps. Some of the most popular apps like Facebook, Messenger and Google Maps have made lite versions of their apps available for download on the Google Play Store. While these apps are aimed at devices with less ram and processing power, you can also use these to replace their full fledged and power hungry counterparts. These apps offer almost all of the core features while leaving out the bloated features that are unnecessary and unused by most people in the full fledged app. 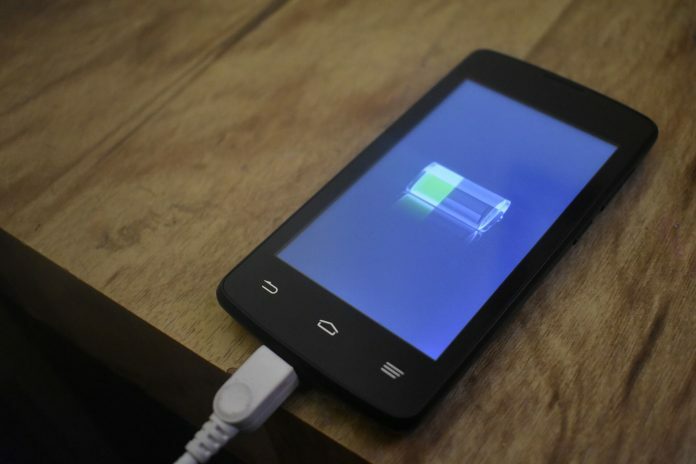 Since they don’t have as many features cramped into them, they do not use much processing power, ultimately resulting in a better battery life on your Android device. If your favorite app does not have a lite version, you can use the web app of it – if available. These can be run on the browser on your device and do not need any additional app to work. Many web apps also come with a lot of features that are present in their standalone apps and even sends you notifications and updates. While this might seem obvious, many people fail to take into account that just by uninstalling or removing the power hungry apps on their device, they can save a ton of battery life. To identify which apps are consuming the most battery life on your device, go to Settings->Battery->Menu->Battery Usage and examine the apps in the list. If there is an app in that list that you don’t use that frequently or something which you can replace with a web app or a lite version, uninstall it immediately. You can also consider uninstalling some of the less used or unused apps on your device as some of these apps tend to run in the background constantly even if you are not using them, thus impacting your battery life. If it is a system app and you are not able to uninstall it, you can just disable it by going to Settings->Apps and then selecting the particular app and clicking on disable. This is a trick which I personally found out to have the most impact on saving the battery life on my Samsung Galaxy S8 Plus. Most apps do not completely stop running whenever you leave the app or clear it from your recents menu. Instead, they constantly run in the background waiting to send you any notifications or trying to use location or other services on your device. You can disable this background operation of these apps by restricting their background data usage which means they will no longer run in the background after you exit them and thus significantly improving your battery life. To do this, go to Settings->Apps and then select the app/apps for which you want to disable the background data usage. Now, select mobile data and disable the Allow background data usage option. You can do this for as many apps you want. Location and GPS function on your device need not be enabled at all times and unless you are actually using the GPS service for navigation or other purposes, it only makes sense to disable them. You can switch to the Device only option in the location settings to improve the battery life on your device. This option will restrict the service to only use the GPS information to determine your location instead of making use of the WiFi, bluetooth and other services on your device. Additionally, you can also disable the WiFi and Bluetooth scanning options under the location accuracy settings on your device to further improve your device’s battery life. As more and more phones come out with an OLED or an AMOLED displays, app developers are also coming up with ways to utilize these screens. One of the best ways to take advantage of these displays is to use dark mode on your device whenever and wherever possible. Using dark mode allows your device to disable individual pixels on your screen where black is present, allowing your device to reduce the battery consumption. So, if you want to improve the battery life on your device, it is recommended to use dark mode on apps when it is available and also to use a dark wallpaper and even a dark theme on OEMs like Samsung and Xiaomi that has made custom themes available on their devices out of the box. If you are someone who listens to a lot of songs or podcasts or watches a lot of videos, then it is recommended that you download these and save them locally on your device instead of streaming them online. This method will not only save your mobile data, it also drains your battery at a significantly lesser rate when compared to online streaming. Almost all the popular music streaming and Podcast apps allows their users to download its content and save them locally. Even the official YouTube app has an option to download selected videos and watch them from within the app without having to stream it using your mobile data connection. Google allows you to download a specific area from the Google Maps app and save it locally on your device so that you can access its navigation services even when offline. While it might occupy some amount of your device’s local storage space, it is worth compromising considering that this method could also help you to save your precious battery life. To do this, just open the Google Maps app on your device, and then select the offline maps option from the left navigation bar. Now you can select your own map by selecting your location by zooming in or out by using the navigation box provided. Once you have selected the location you want to download, just click on the download button and the map of the selected location will now be downloaded and locally stored on your device. You can now access this map from the Google Maps app on your device without connecting to the internet thus significantly improving your device’s battery life.